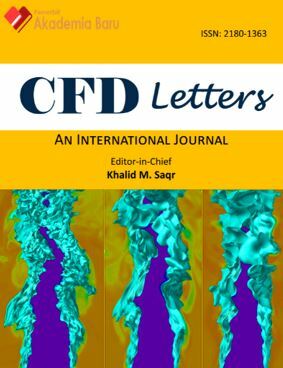 CFD Letters publishes as rapidly as possible manuscripts of high quality which addresses eminent topics of computational fluid dynamics theory and applications. Being an international, peer-reviewed, online and open access journal, CFD Letters presents a world-wide forum for the dissemination of knowledge among engineers, scientists and mathematicians working in the field of computational fluid mechanics. This journal offers overall strategy that researchers choose to integrate the different components of the research in a coherent and logical way, thereby, ensuring effectively address the research problem; it constitutes the blueprint for the collection, measurement, and analysis of data spanning the interdisciplinary field of applied researches. Advanced Research in Computing and Applications provides an academic platform for professionals and researchers to contribute innovative work in the area of emerging computer and information technologies including, but not limited to, embedded computing, green computing, smart and intelligent computing, ubiquitous computing, convergence computing, and human computing. Journal of Advanced Research in Applied Sciences and Engineering Technology is an international forum for the publication and dissemination of original work which contributes to greater scientific understanding in the area of applied sciences and engineering technology. The Journals reports principally the achievements spanning the interdisciplinary field of applied researches. Scope of the journal includes: biology, chemistry, physics, environmental, business and economics, finance, mathematics and statistics etc. The contributions in this journal can stimulate ideas in further research and knowledge generation amongst scholars with similar interests. The scope of the journal includes: Robust Design, Taguchi Method and Techniques, Mahalanobis Taguchi System (MTS), Statistical Quality Engineering, Advanced Quality Management, Lean Engineering, Sustainable Engineering, and new emerging topics relevant in this knowledge domain. Progress in Energy and Environment (ProgEE) is devoted to the publication of high quality and original research/review papers in the field of energy and environmental engineering. Cross-disciplinary scientific research works which deal with the contemporary energy and environmental issues such as sustainable energy, water/carbon footprint, food safety, environmental management and technological improvement which reduces energy consumption, are highly encouraged. ProgEE also welcomes fundamental researches on the development of methodology such as experiments and computational mathematics, which galvanizes the emergence of future technology and scientific knowledge in energy and environmental engineering. Journal of Advanced Research in Engineering Knowledge (AREK) aims to provide cutting-edge research and practices in the engineering and design of technology, a forum for debate and reflection as well as an anchor point for many technology practitioners and academics programs. Scope of the journal includes: Materials Sciences, Mechatronics, Mechanical, Electrical, Electronics, Chemistry, Physics, Environmental, Mathematics and Statistics, Geology, Engineering, Computer Science, Technological Sciences, Sciences Education and Architecture, Mechanics, Applied Sciences and etc. 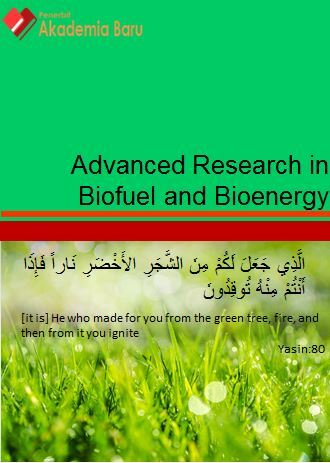 Journal of Advanced Research in Biofuel and Bioenergy offers the current research and progress on biofuel and bioenergy. The journal covers original research papers, short communications, review articles and case studies on various aspects of bio based energy including solid, liquid and gaseous fuels processed through biochemical, chemical, thermochemical, electrochemical, etc. routes for efficient and eco-friendly technologies and techno-economic studies of different processes on bioenergy and biofuels. The scopes of the journal extend to the aspects of biomass, biological residues, bioenergy processes, bioenergy utilization/applications, biomass and the environment, advanced biofuels (biohydrogen, biomethane, bioethanol, biodiesel), algae biofuels, aviation biofuels, biorefineries, and bioeconomy of biofuel. 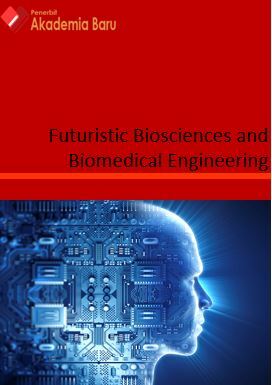 The Journal of Futuristic Biosciences and Biomedical Engineering (FBBE) is a research journal publishing original full-length research papers, reviews, and Letters to the Editor. The Journal is devoted to the advancement and dissemination of knowledge concerning biomedical engineering, bioscience, medical imaging, medical signal processing, telemedicine, diagnostic, therapeutic, microbiology, parasitology and etc. 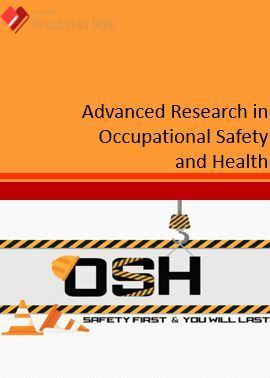 Journal of Advanced Research in Occupational Safety and Health is an international peer-reviewed journal. It provides platform to the academicians, researchers and professionals to share and exchange their ideas and research works in the following areas but not limited to: management of safety and health; behavior-based safety; lean safety and sustainability; hazard; occupational injuries; occupational illness; ergonomics; industrial hygiene; accidents prevention techniques; legal aspects; workplace security and violence; workplace bullying, workforce involvement; safety and health program; and motivating and training. 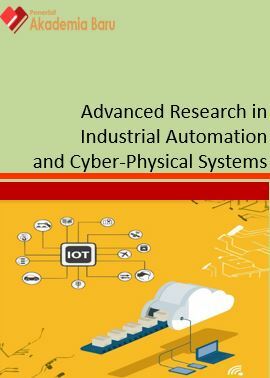 Journal of Advanced Research in Industrial Automation and Cyber-Physical Systems is an international forum for the publication and dissemination of original work which contributes to greater scientific understanding in the area of industrial automation and cyber-physical systems. The journal reports principally the achievements spanning the interdisciplinary field of applied researches. The scope of the journal, in the context of industry 4.0, includes advanced control systems, robotics, automation, artificial intelligence, machine vision, embedded and real-time systems, operational technology, big data in manufacturing processes, smart decentralized manufacturing, electronic packaging and manufacturing. 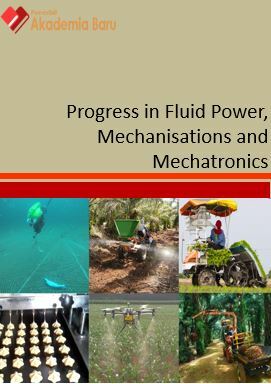 Progress in Fluid Power, Mechanisations and Mechatronics is devoted to the publication of high quality and original research, review and technical papers in the field of fluid power, mechanisations and mechatronics engineering. The journal provides essential reading for engineers and academics with interest in the progress of modern fluid power technology worldwide. Cross-disciplinary scientific research works which deal with the current aspects of domestic and industrial innovations in mechatronics and mechanisations, especially in robotics, transportations, agriculture and aquaculture are highly encouraged. The journal seeks to publish progress in both applied and theoretical research. It is hope that this journal will bring greater recognition to this important area of engineering.